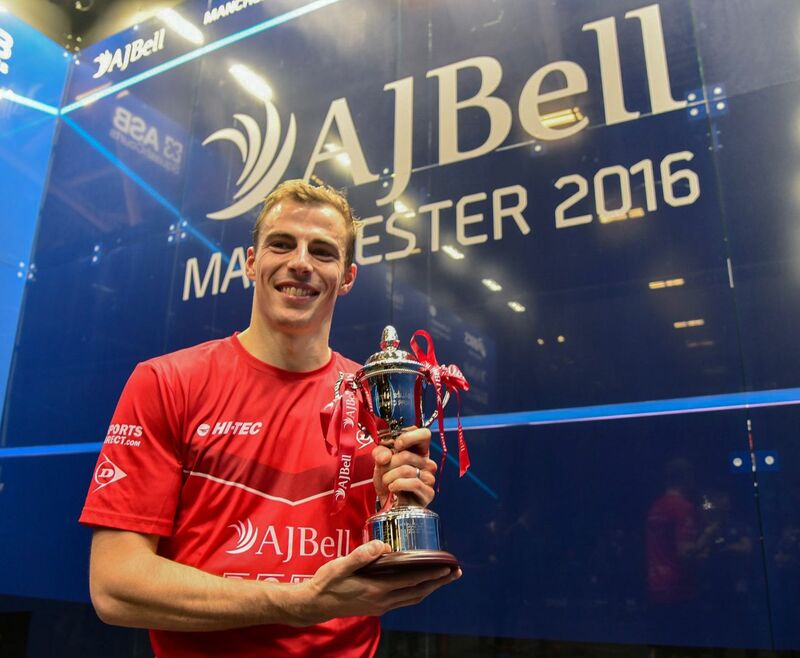 36-year-old Nick Matthew proved that their is still life in the old dog as he produced a masterclass performance to inflict an 19th consecutive defeat on perennial rival James Willstrop and win the final of the 2016 AJ Bell British Squash Grand Prix - his first title win in 18 months. 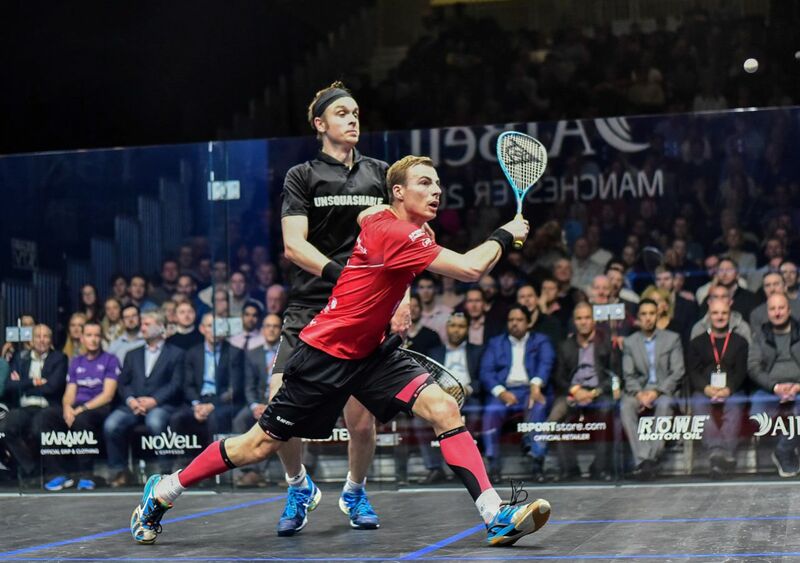 In the latest instalment of a rivalry dating back to 2001, which has seen the pair clash almost 60 times altogether, it was Matthew who proved his domestic supremacy once again with a spirited and tactically astute display that saw him break Willstrop down physically throughout the 51 minute 11-7, 12-10, 11-4 win. The Sheffield-man, known on tour as the 'Wolf', started strongly to take the opening game and then showed the grit and determination that has epitomised his career as he snarled his teeth to withstand an onslaught from 33-year-old Willstrop and take the second game tie-break - setting up the platform to complete the victory and lift the 34th PSA World Tour title of his career. 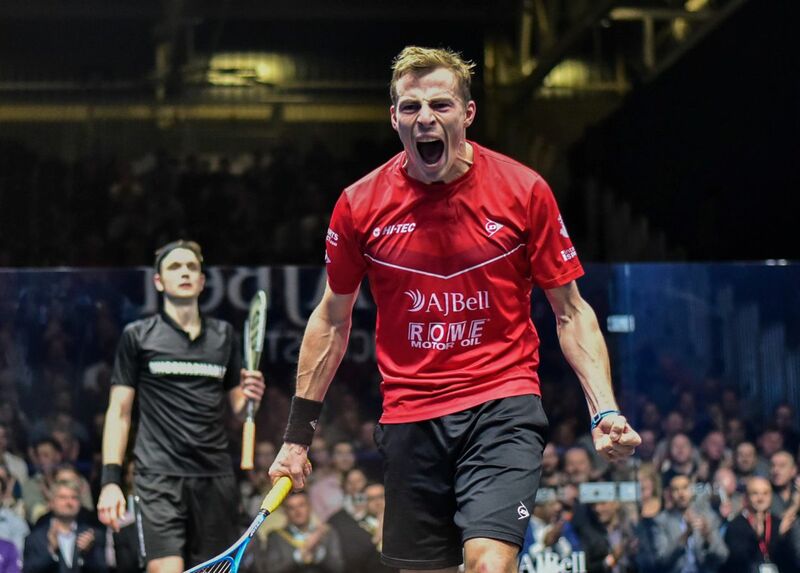 "We've played an incredible number of matches - big tournament matches in semi-final or finals - against each other and today was another so I'm just delighted to have come out on top," said Matthew. “A lot has been said about our rivalry but there is a tremendous admiration for what both of us do on the court. Off the court as well in the way we prepare, we couldn’t be two more different people but that leads to some unbelievable matches. "It wasn't easy at any stage today and it could have been very different. In that second game he showed how good he was and I was lucky to get that game. I knew I had to just push through and I'm really pleased to back it up." The three-time World Champion's career has at times stuttered since his last title success, at the 2015 Canary Wharf Classic, with injuries hampering his opportunity to win more silverware. 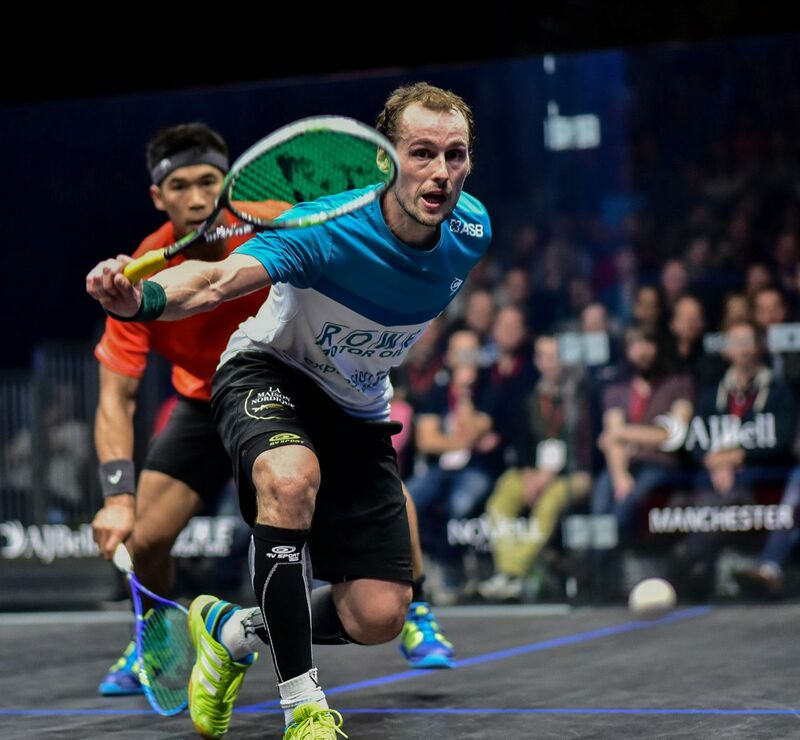 And despite starting the 2016/17 season with a shock first round defeat at the NetSuite Open, he rekindled some of the finest form of his career on home soil in Manchetser to end the year on a high. "There's been a lot of soul-searching and times when I wasn't sure if I could cut it at the top anymore, so there was a lot of emotion that came out at the end tonight," he added. "All that behind the scenes work, the work of the team that have been on that journey with me and the sacrifices that everyone makes as part of that melting pot are what comes out. I'm happy to be playing but to know that I can still produce it and get over the line is an incredible feeling. “One minute I’m planning my retirement party, the next minute I want to play for five more years, so the truth is probably somewhere in between. “There were times where I thought this might be my last year but I definitely have plans to finish this season and take it from there. I would dearly, dearly love to play in one more commonwealth games and of course the Worlds in Manchester next year. On the final Willstrop said: "I just wish I could have given him more of a match. "But I have to salute him. I gave everything there but he was too good, and too accurate - I couldn't get him out of position. People talk about his age but he's as good as he was six years ago when we were playing finals." 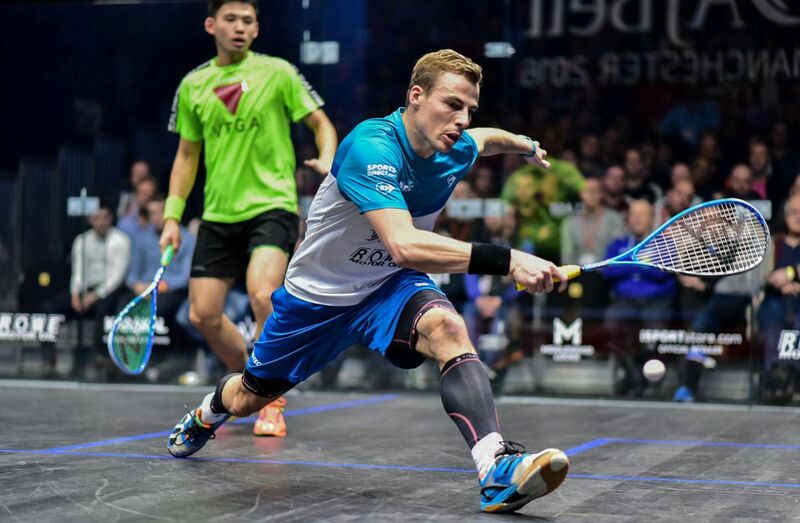 One of the most intense and acrimonious rivalries to have graced squash in recent years will be renewed tomorrow (Dec 5) when three-time World Champion Nick Matthew and long-term domestic rival James Willstrop will lock horns in the final of the 2016 AJ Bell British Squash Grand Prix. 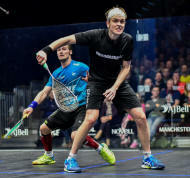 The pairing, separated by just three years in age and thirty miles in their home county of Yorkshire, have maintained a fiery relationship since first clashing in 2001, with Willstrop going as far as citing his rival as ‘pretentious and vicious’ during a 15-year rivalry that has produced some of the most memorable matches in squash history - including the 2010 Canary Wharf Classic semi-final, which many claim to be the best squash match ever played. Both have struggled with injury over the past few years, with Willstrop battling back from a career-threatening hip injury suffered in 2014, but this latest duel will see them clash in peak renaissance form - making for what promises to be the most blistering encounter since their meeting in the 2014 Commonwealth Games Final. “I said at the start of the week I came here to win it - I’ve been in a lot of semis and finals of late and it’s about time I converted one of them,” said 36-year-old Matthew, who secured his place in the final with a 3-1 win over Daryl Selby. “It’s going to be tough because James is in great form - and its great to see that. Coming from 2-0 down against Gaultier is hard but it didn’t surprise me because of how well James has been playing recently - he's such a classy player and we've always had big battles, I've never taken that rivalry for granted. Former World No.1 Willstrop booked his place in the final with an impressive victory over World No.3 Gregory Gaultier that saw him battle back from 0-2 down to seal a 3-2 win and end an six match losing streak, and he'll be hoping to continue his run and end an 18 match losing streak against Matthew that dates back to 2007. “Nick has just been awesome recently, the way he’s been so dogged and tough - he was fantastic in Qatar and at the U.S Open so I know I'll have to give him huge respect on there," said Willstrop. 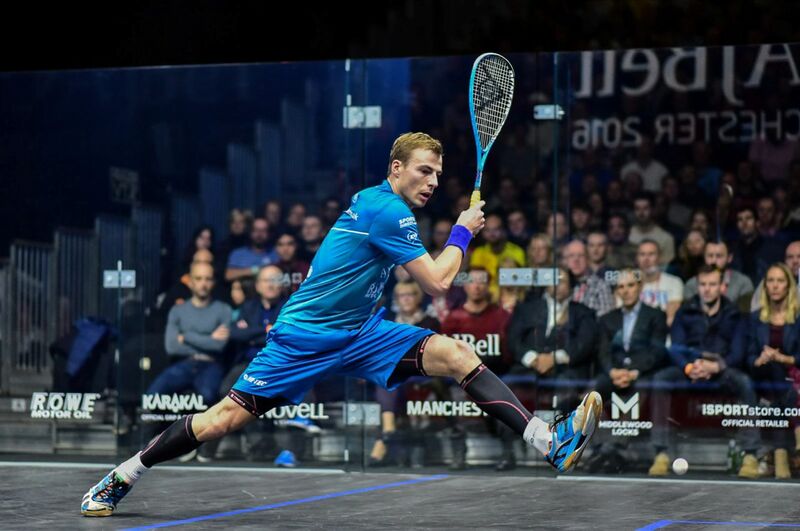 “Today I was getting outplayed in the first half of the match so to turn it around, and put some good squash together under pressure, and get the win feels very good and to be in the final is great. 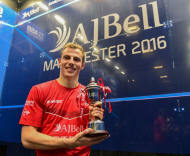 England are guaranteed at least one presence in the final of the 2016 AJ Bell Squash Grand Prix after three-time World Champion Nick Matthew was joined by former World No.1 James Willstrop and current World No.16 Daryl Selby in the last four of the PSA M70 tournament taking place at the National Squash Centre, Manchester. Three-time tournament winner Matthew secured his berth courtesy of a 3-1 win over in-form Hong Kong number one Max Lee, setting up a semi-final clash with Essex-man Selby. 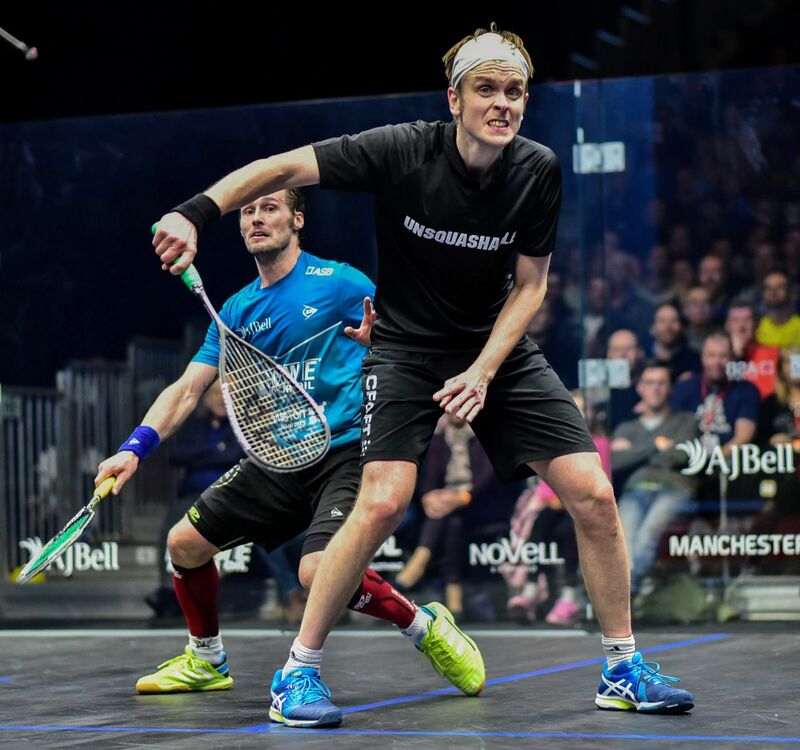 While Willstrop, with whom Matthew has contested a fierce-some domestic rivalry for over decade, will face 2015 World Champion Gregory Gaultier - the man Matthew beat to claim two of his three World Championship crowns. “I had to work hard and play well physically tonight to beat Max and solve the problems he imposed on me, and there will be more of that tomorrow," said 36-year-old Matthew. “I know very well what to expect from Daryl, he has a very economical game. If he moves well he tends to play well, and he is moving well at the moment. So I’ll have to work hard. “My game plan didn’t work as well as I’d have liked today - in the second game I was sloppy and gave him a bit of a lead and I felt I gave him a few easy points. But I managed to win the big points and that will also be important tomorrow." 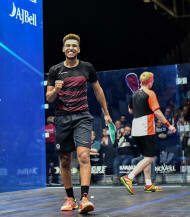 Selby booked his place in the last four courtesy of a 3-1 win over up-and-coming English youngster Richie Fallows while Willstrop downed Australian number one Cameron Pilley to set up his encounter with Gaultier, where the Frenchman will be hoping to prevent an all-English finale. In his first tournament since injury struck during the semi-final stage of November's 2016 World Championship the 33-year-old World No.3 put in a commanding performance to beat Malaysian Nafiizwan Adnan 3-1. 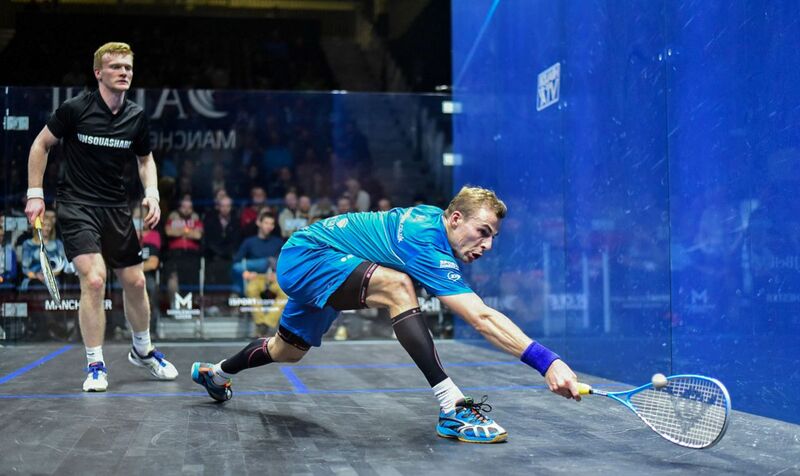 “Coming here I just wanted to play so I’m happy to get through to the semi-finals," said Gaultier. "Hopefully this will help build up my confidence, because I haven’t played for a while. But I'm used to playing in this stage of competitions, so hopefully I can push on and I'll try to adapt my routine a little to make sure I am ready for the challenge." On Gaultier, Willstrop said: "I'm excited about tomorrow. It's a thrill to be playing here in this atmosphere - these are the events and environments that you want to play in and why you play the game. There's history between Greg and I, so I'll get my head around it and look forward to tomorrow and try and enjoy playing against him again on a big occasion." 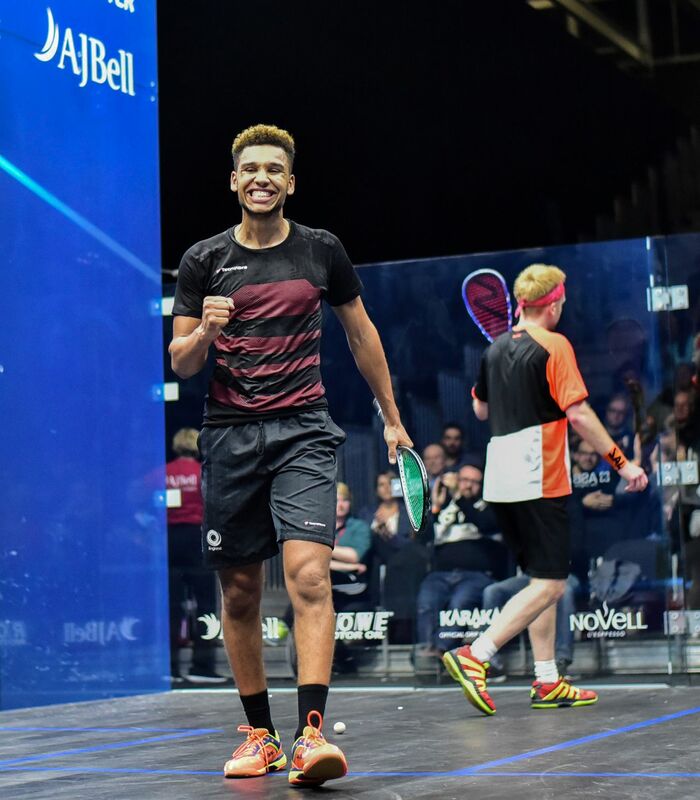 Tournament qualifier Richie Fallows pulled off what he described as his 'biggest ever win' as he overcame a gap of 49 places on the PSA World Rankings to dispatch fellow Englishman and World No.31 Tom Richards on the opening day of action at the 2016 AJ Bell British Squash Grand Prix. Fallows had to come through two testing qualification battles just to reach the main draw of the PSA M70 tournament taking place at the National Squash Centre, Manchester, and the 21-year-old managed to hold off any big-stage nerves to complete a 3-1 victory that sees him set up a quarter-final encounter with World No.16 Daryl Selby. Playing on the front foot and with an aggressive style Fallows recovered from dropping the opening game to complete the win, which seed him become the first qualifier to reach the quarter-final stage of this tournament since 2011. “To beat someone like Tom, who I’ve seen from a young age, means everything to me," said Fallows. "Staying in the moment was so important. I had to not worry about my opponent and just focus on my own game and I'm really pleased. I'm looking forward to the quarters now, Daryl is a good mate and a fellow Essex-man, so hopefully it will be good especially because the crowd really get behind you here." Joining Fallows as a surprise quarter-finalist is Manchester-based Malaysian Nafiizwan Adnan after the 30-year-old produced a superb fightback to overturn a two-game deficit against England’s Chris Simpson to emerge triumphant after a punishing 96 minute battle. 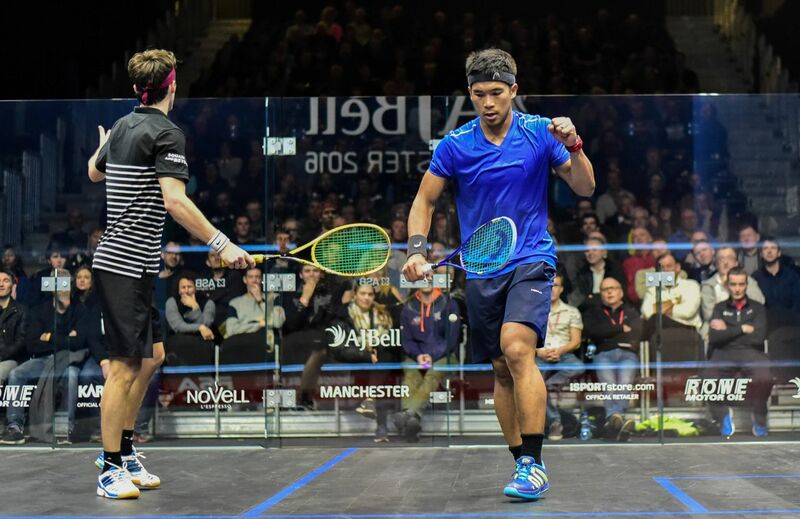 Simpson stormed out of the traps and charged into a 2-0 lead as Adnan failed to respond to the 29-year-old’s brilliance but a change in intensity saw the Malaysian surge back into contention and he took the next three games without reply to complete a 4-11, 8-11, 11-5, 11-8, 11-9 triumph, which will see him face World No.1 Gregory Gaultier in the next round. “I’m really, really glad I won, at 2-0 down I was just telling myself it’s all about me, he [Simpson] was really good in the first and second, but I gave him that opportunity," said Adnan. "In the third, fourth and fifth I just kept pushing, and in the fourth I got a cramp, but that didn’t stop me, I just carried on. It’s all about passion, I’m a player that plays in the quicksand, I slow it down and make them hurry and that has worked for me. "A win is a win, it’s not about how long it takes." Meanwhile top English hopes James Willstrop, Daryl Selby and three-time World Champion Nick Matthew (right) came through their first round encounters courtesy of straight-forward 3-0 victories, with Matthew, who is aiming to lift this title for the fourth time in his career, negotiating a potentially tricky affair with wildcard Joel Makin. "I'm so happy to still be playing at the level that I am at this stage of my career," said Matthew. "Manchester is a happy hunting ground for me and I have a lot of great memories here, but I'm trying to start each week fresh and take it one round at a time, but I am here to try and win it and I’m not here to just make the final.